Invest in the future by helping fund engineering and science college students’ attendance to IEEE-USA's 2nd Future Leaders Forum -- where some of today’s brightest minds connect with tomorrow’sleaders. This three-day, one-of-a-kind conference provides attendees with interactive learning opportunities, entrepreneurial skills and motivational speakers while taking them on an incredible journey centered around four themes: Lead, Empower, Adapt, and Design. 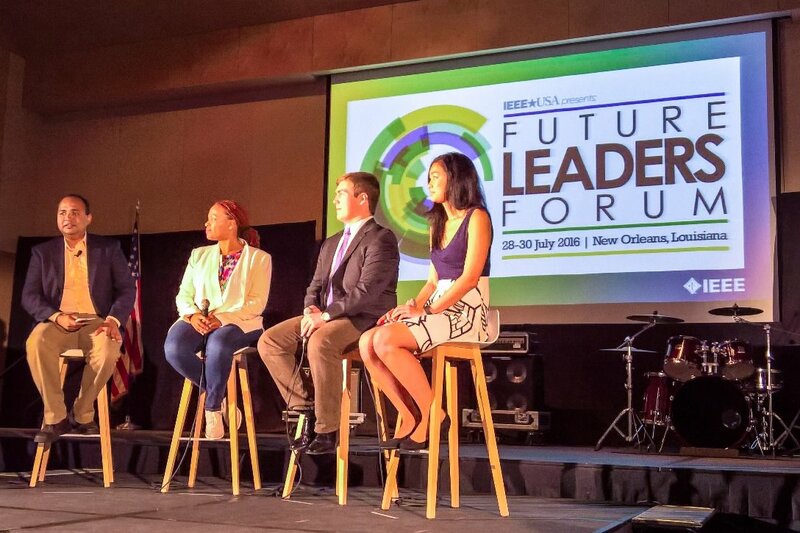 The Future Leaders Forum will be held July 26-28, 2018 in Austin, Texas -- and your contribution will go directly towards registration and housing costs ($425) for selected attendees. 100% of your donation (less a transaction fee of 2.9% + .30 a donation - see https://www.gofundme.com/pricing/ ) goes directly to IEEE-USA for the stated purpose. IEEE-USA is an organizational unit of IEEE, the world's largest tecnical professional society. IEEE qualifies as a tax-exempt organization as described under US Internal Revenue Code Section 501(c)(3), which is eligible to receive charitable contributions that are deductible for US income tax purposes. Donate $20 and get a free IEEE-USA eBook - "Developing Your Path" by John Collins. Donate $50 and you'll get an IEEE-USA eBook and your name will be added to the official conference program. Donate $250 and you'll get an IEEE-USA eBook, your name in the official conference program and an IEEE-USA T-shirt. Donate $500 and you'll get an IEEE-USA eBook, your name in the official conference program, an IEEE-USA T-shirt, and an IEEE-USA Backpack.